Abakas: Who Do You Tell When? 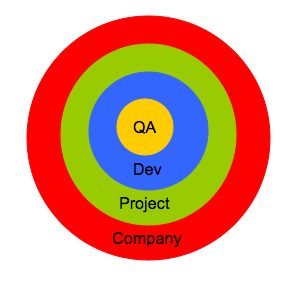 Its quite true that we have different layers above us, so while communicating any issue, we have to prepare according to level where we want to pursue our issue, because developers will consider our point in terms of development effort he needs to put in while higher management will think that how much important this issue is for the client and etc. I think as a QA resource, you should have your basket full of arguments for each layer.